What’s the best way to choose a chiropractor in Austin? You’re doing it! Spend some time here exploring our chiropractic philosophy. After you tour our website designed for Austin-area residents searching for a chiropractor, Call Dr. Parker’s Austin Chiropractic office today! We’d love to meet you and explain our approach to chiropractic. Visit our Events Page for information on free Health and Nutrition Workshops and information on how you can help us help the community. What do these and many more elite athletes have to say about chiropractic care? Visit our Celebrities and Athletes page to find out! Thank you! Thank you! Thank you for keeping us aligned and well!! Since starting with you in April, we’ve had less visits to the doctor, we’re sleeping better, breathing better and feeling good! Dr. Parker and her staff are a cut above the rest. Her bedside manner is absolutely outstanding as she takes the time get to know you and understand what the problem is. Best chiropractor I’ve ever been treated by. Would very highly recommend! I am so grateful for your help and services. I am beyond excited to be under your care and have full confidence that you will and are helping me to feel better in all ways possible. Thank you! I feel better than I have in years Thank you so much! I highly recommend Dr.Rhonda Parker for her skill level with patients is outstanding, very thorough in her examinations, kind and supportive with her treatment. 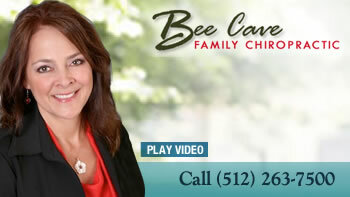 - Dr. Mary Beth P.
Dr. Parker is very knowledgeable. She touched on my individual needs where with my previous chiropractors, I felt like I was in a chain of patients all receiving the same treatment. She is extremely companionate. Now that I’ve been seeing Dr. Parker, I feel mentally happy for the first time in two months! I feel elevated. I feel like I can kick this now. I can do this! 1st visit was amazing. Very hopeful for my body to change and improve comfort throughout my daily activities. Dr. Rhonda Parker is super friendly and very attentive. Convenient, Courteous, professional and very experienced! I am so glad I came to see you!